SFHA is delighted to announce Turner as the main sponsor and SPA as the lunch sponsor at its Energy, Renewables and Fuel Poverty Event which is taking place on 23 May at The Studio in Glasgow. Initially founded in 1912 as a supplier to the emerging automotive industry, the Turner Group has evolved through steady organic growth as well as acquisition. Currently, the group enjoys a turnover in excess of £160 million, a reputation for profit retention and a solid financial base from which to operate. A privately controlled group of autonomous companies, the Turner Group is engaged in the supply and servicing of equipment as well as the provision of comprehensive support services. The Scottish Procurement Alliance (SPA) is the result of discussions between Scottish contracting authorities who were clients of LHC. Scottish members wanted to focus LHC’s technical expertise in the construction, refurbishment and maintenance of social housing and public buildings throughout Scotland, in a way that exclusively addresses Scottish needs, standards and aspirations. Its formation in 2016 coincided with the introduction of new procurement regulations in Scotland which placed additional requirements on organisations involved in procurement using public funds. The event takes place on 23 May at The Studio in Glasgow city centre and is free to attend for SFHA members. The event will focus on the Fuel Poverty Bill and its implications as well as what EESSH2 means for regulatory standards and the investment requirements it will involve. The event will also share best practice, innovation ideas and delegates will get the chance to network with colleagues and exhibitors. Places are limited and will be allocated on a first come, first served basis. 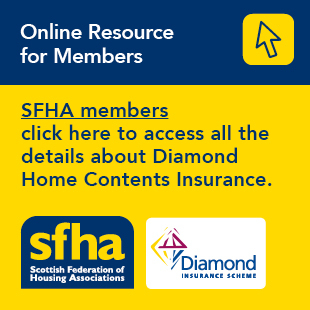 In order to ensure that as many organisations as possible get the opportunity to attend, SFHA is only accepting a maximum of two bookings per member organisation. For more information or to book your place using the SFHA’s brand new events booking system, please click here.